I am indulging in loads of shopping these days as the wedding date is approaching fast and I am planning to finish the shopping as soon as possible. When I go out to shop I always come home with atleast one pair of shoes, may be obsessed with shoes. 😉 With all my experience I have gained from Ritcha’s wedding shopping I do try to help all the would be brides for same. This time I am here with a guide on how to chose a perfect footwear for your special day. Footwear is one of the most important accessory and necessity while dressing up. Be it for a bride or near and dear ones. But for a bride, it is one of the most important aspects of dressing up as everybody’s eyes are on her – be it dress, jewellery, accessories, mehendi or footwear. Footwear gives a definition to your personality and posture while adding on to those extra inches to your height and changing your complete persona. Your shoes say a lot about you. For instance, if you go for a pair of shoe that is stylish but you are not comfortable in it and it is visible then it’s a sign that you are not comfortable with yourself. If you are the one who can’t carry those pointed sky high heels, then what’s the use of hurting your dear feet, after all your feet carry your whole weight. Be kind with your feet and go for wedges or pumps instead or you can also go for block heels. You should be delighted to know that the concept of customized shoes is in vogue these days and many brides are going for the trend. These are so similar to your outfit and everything seems like customized or you can go for a shoe you dream of, if you like Swarovski, ribbons, thread work or pearls, it all depends on your personal choice. 1.Today’s bride is confident and she just wants to be comfortable in her shoes as everybody knows that a bride has to keep standing for a long time in her wedding and it may include some dancing too. So you may go for wedge or block heels, there are many type of wedge heels available in market these days. And these are best for reception too. · 2. It’s always better to get a shoe which is quite resembling to your outfit, be it with work or colour. It will give your attire a more customized look. · 3. As Indian brides already carry a heavy outfit, they should go for lighter shoes and laser cut uppers with Swarovski look better than those embroidery ones. · 4. For other functions like sangeet, don’t go for sky high heels as it will include more of dancing so just rock the floor with a 3” inches heel, as these are quite stable. · 5. For engagement or cocktail you can go for peep toes or you may experiment with heels. Peep toes look best with gowns. · 6. Also shop shoes for your honeymoon, as most gals forget this and after wedding you don’t have time to shop for shoes. So better buy in advance depending upon the place you will be going and it should be comfortable, as honeymoon does include romantic walks and trips. Now, to please your eyes, I have compiled some beautifully amazing footwear which will give you a decent idea to make up your mind for your preferences. Do check these beauties out :). So So So ….. overdose haan!! These are all fantastic! 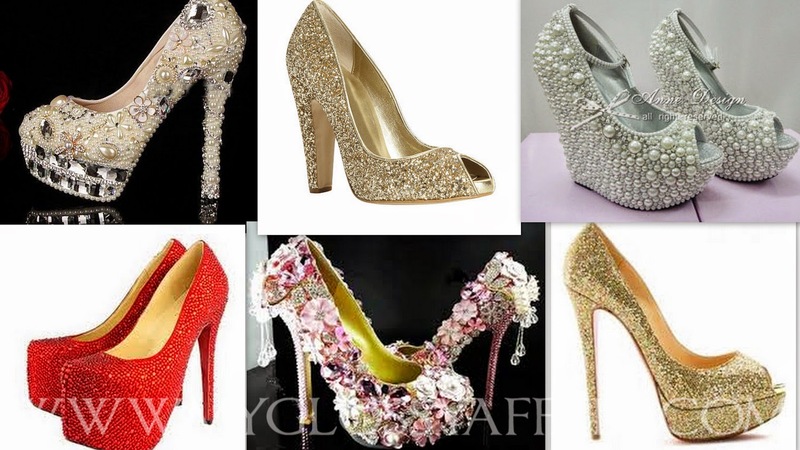 I'm not sure if I would actually wear any of these on my wedding day, but I do think they're lovely shoes. Thanks for sharing! Nawww you're getting married! Eee! Congrats lovely (belated obviously) I love this post you've put up. I don't know anyone whose getting married right now but I'll be sure to remember your tips. Especially re the honeymoon. Everyone always focuses on the big day and not the holiday afterwards! It is such a useful update for all the to be Brides…Shoes are actually so pivotal on special occasions!! I absolutely love the pearl wedges! They're perfect! great post! All the listed shoes are just gorgeous! I'm in heaven with these selection well done. Love them! the first one is absolutely my favorite. Beauty hurts haha. xo, Juli. Lovin the pic of the shoes. I so love to wear heels but I restrict wearing them daily as I won't be able to walk in them and also because it will hurt my feet. But then I just go crazy over great looking ones and the beautiful compilation of yours is making me go crazy. omg so much shoe candy!! Gorgeous compilation sweets! I totally agree with you. Its comfort with foot wears. 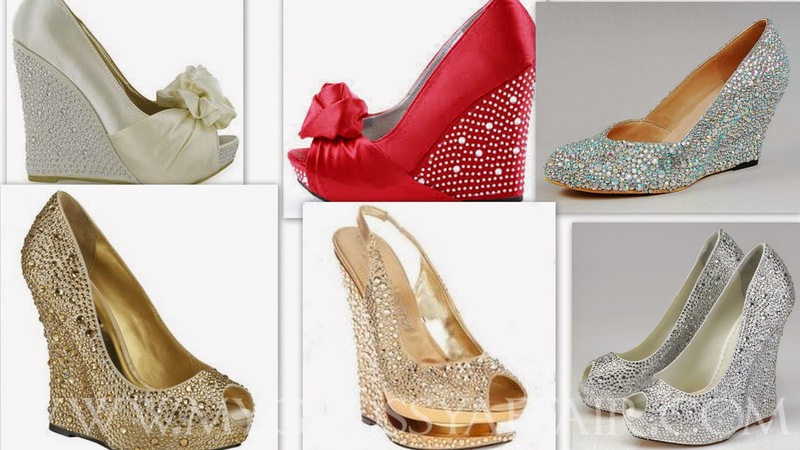 Beautiful pairs of shoes and for special occasions, I like all the glitz and glam type. But again, as said, comfort will still be the priority. I wore a studded wedge for my reception, nice post dear. Congratulations Hun!!! So Glad to know ure tying the knot!!!! So many shoes! Great post! Such a gorgeous post. I so love stilettos but just cant walk in them! This blog is very nice and helpful.